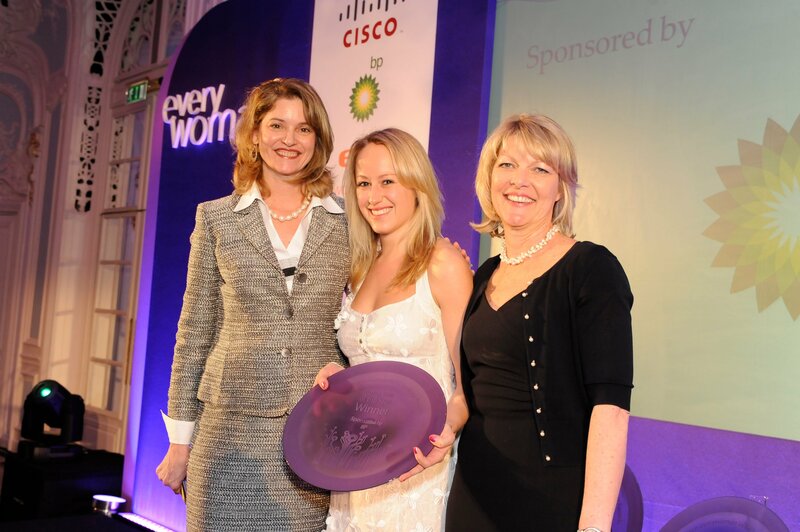 Winner Laura Earle, executive communication manager, services, EMEAR at Cisco, Suzanne Dubois, director of projects enterprise systems, at BP (category sponsor) and everywoman co-founder Karen Gill. Laura is responsible for the development and execution of the communication strategy for the global team across Europe and Emerging Markets at Cisco. Driving engagement across a workforce in 121 countries, successful projects include a ‘Reverse mentoring’ programme, production of the first ever CSR report to engage 4,500 employees in giving back activities and the creation of the first I&D blog.